There is a typo where it says "sand an anarchist him to the dead" it says "dea" instead of "dead". "According to our preliminary observations, the peak of underground anarchist activity occurred in 1926. The number of participants in the anarchist movement of this period is comparable to the first wave of Russian anarchism... .[The historian V. Krivenky] estimates the core group of Russian anarchists in 1903-1910 as roughly 7,000 people." 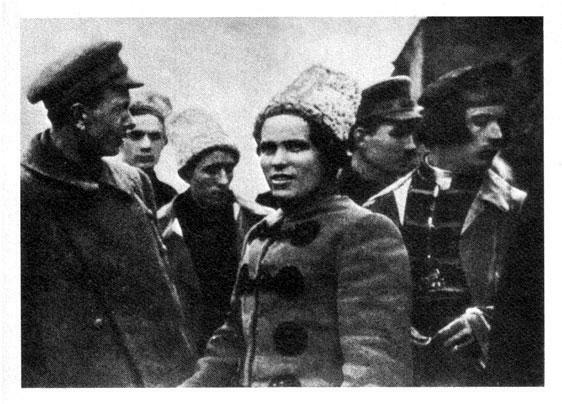 Most of the people taking part in this "third wave" of Russian anarchism were very young -- too young to have been active in the Revolution and Civil War. These activists suffered a tragic fate -- not only were they physically destroyed, they have almost disappeared from history as well. Aside from being a renowned scholar and historian, my uncle Paul Avrich was also an embezzler and thief. He embezzled the sum of $125,000 in government issued bearer bonds from the estate of his deceased mother (my grandmother) Rose Avrich in an effort to deprive both myself and my mother (Paul's sister) Dorothy Avrich of our two-thirds entitlement to these funds (Paul was one-third beneficiary). His defense as presented through his attorney Sam Smith to the Miami-Dade Circuit Court Probate Division judge Robert H. Newman was "my mother wanted me to have the money for my children Jane and Karen" and it didn't fly. Jane Avrich and Karen Avrich were never mentioned in Rose Avrich's will. The judge appointed a monitor (attorney Paul Lipton) to investigate and the monitor concluded that there was indeed a theft. After a mediation hearing, Paul Avrich was ordered (as per a signed settlement agreement) to pay back the sum of $35,000 to the estate. Moral of the story here is that there was more to this man than meets the eye and people are only aware of his positive attributes, not his dark side. This information is all verifiable and contained in the estate of Rose Avrich court records.